It is with great pleasure that I can announce that Central Virginia Battlefields Trust (CVBT) has just closed on the purchase of 13 acres that were part of Stonewall Jackson’s famed flank attack during the May 1863 battle of Chancellorsville. This property lies on the south side of the historic Orange Turnpike (modern day Rt. 3) near the intersection with the Orange Plank Rd. 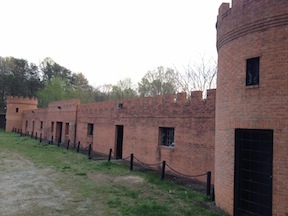 Many of you will be familiar with the property, commonly known as the “Castle” or the “Stars and Bars” tract, named for the relic shop that long occupied the property. While the National Park Service holds a good portion of the battlefield on the north side of Rt. 3, little has been saved on the south side. CVBT already owns over 45 acres in this vicinity, and this latest acquisition brings that up to 58 acres–a significant portion of the Flank Attack on the south side of the road. The property includes extensive frontage (450 feet) on the Orange Turnpike and extends south to the Orange Plank Rd, iincluding 860 feet of frontage on that equally historic corridor. 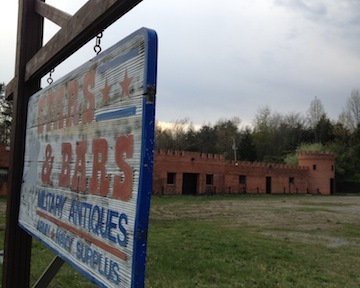 Please help us preserve this vitally important site. Go to our website, www.cvbt.org, to find out how you can do so. 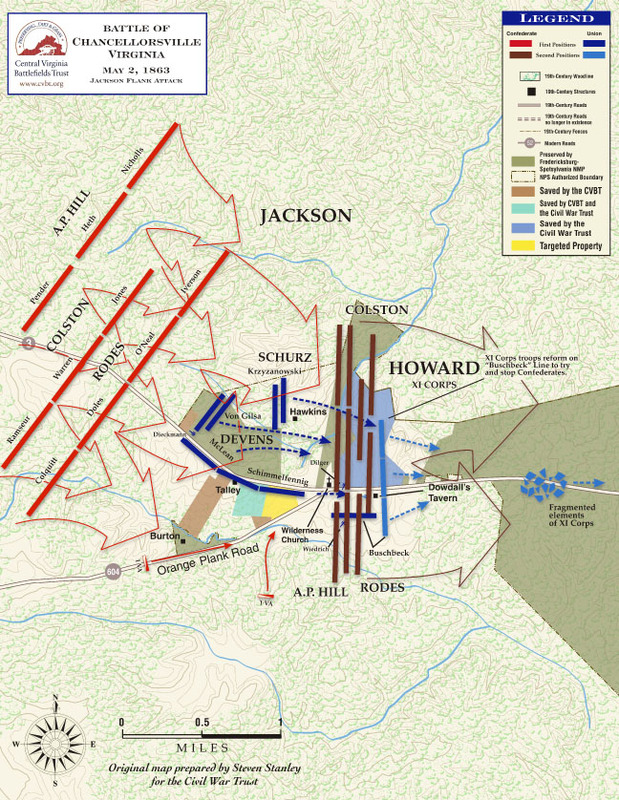 This entry was posted in Battlefields & Historic Places, Preservation and tagged Battle of Chancellorsville, Chancellorsville, CVBT, Fredericksburg & Spotsylvania National Military Park, FSNMP, jackson's flank attack, partain, Stonewall Jackson. Bookmark the permalink.